| Saving You Money Everyday! I went grocery shopping today and when I was putting away my groceries, I realized a lot of the products I bought weren’t any type of brand name at all. They were generic products – you know, the store “brand”. So I thought we could talk about that a little today. It seems sometimes that when we grocery shop, it is very easy to become brand loyal for some of the products that we use. It might be a product that your parents bought when you were a child and you’ve just always bought it because it is familiar to you, or it can just be something you tried once that you liked and have continued to buy it no matter what the price. We are now at the end of the 1st quarter of 2019 and for some, if not all of us, our New Year’s Resolutions have gone right out the door. What about you? Are you tired yet of that diet you wanted to commit to? Are you tired of working out every day? If you’re like me, you are! But what about your financial resolutions? How are you doing with those? Are you still keeping up with putting some money aside for an emergency fund? I sure hope so because everyone needs one of those. And I hope you are still sticking to that budget you made out at the beginning of the year. I get how things tend to slide away from us when we aren’t thinking about them most of the time – we get bored with things, we forget to write down an expense and we get surprised by it or we had a bad day and just decide to quit. If any of these are you then the main thing you need to do is just get back up and pick up where you left off. So what if it was boring, or forgotten or a wrench was thrown in your path? You can’t just quit doing what you started out doing and throw it all away. Just think of the time you spent working to get it all together – time is money and you can’t just step away from it and hope that things get better. 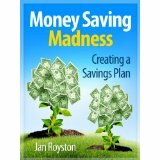 It simply doesn’t work that way and we all know that saving money and getting our finances in order does take some work. Will it make you feel better to know that I have done a terrible job this year with my finances – yep, it’s true and that’s exactly what prompted this email to you. I was looking at my bank statement yesterday and realized that I had eaten out almost every day for the past 3 months! Are you kidding me? That can eat up your finances quicker than anything – and I just wasn’t paying attention to it. Yep, it’s that time of year again! Time to file your taxes! BLAH! However, there are some ways you can save money when it comes time to file your taxes. Don’t be fooled by those folks who offer to do your taxes and then write you a check that day. This is the biggest mistake that people can make. They give you that check based on what your tax refund would be MINUS a percentage of what they make to give you that big fat check that day. Do you really want to give up 10 – 20% of the tax money that is due back to you? I sure wouldn’t! That’s my freaking money and I want to keep ALL of it. Contrary to popular belief, if you file electronically (no matter where you go) you should have your money in your bank account within 5 – 7 business days. It’s not like you have to wait for months on end to get your tax money back like you used to when you waited around for a paper check. So don’t let them sucker you in to writing a check the very day they file those taxes for you. Also, you can find free help on the internet to any and all of your tax questions. You can go to the IRS page and they can give you all of the answers that you need. You can also call them if you’d prefer; either way, they can help you and they don’t charge a fee. Don’t think you have to pay someone to answer questions that you can get free answers to. You can also use several programs online to file your taxes that don’t charge you anything at all. You will pay absolutely nothing (sometimes it’s based on your income) so you don’t need to go sit at a tax preparer’s office for hours on end waiting for your turn and then dishing out a fee to them to boot! So, plan to wait a few extra days for your tax refund to be deposited and don’t pay someone else to do what you can easily do at home yourself! I hope you get a HUGE refund this year! The IRS doesn’t very much like it if you don’t pay your taxes on time. They’re not so understanding either if you’re unable to pay what you owe. To help deter people from paying taxes late (or not paying them at all), and to help cover their administrative costs, the IRS charges penalties and fees. 1) If you haven’t filed or paid your taxes due. 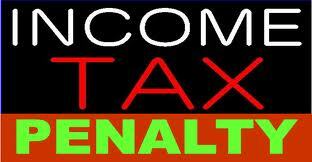 You will most likely owe a late filing penalty in addition to a late payment penalty. It’s charged on a monthly basis and is generally around 5% for every month you’re late. Once you’ve reached five months, it jumps to 25% until you’ve paid your taxes. So if you haven’t filed yet, file as soon as possible to avoid extremely high fees. 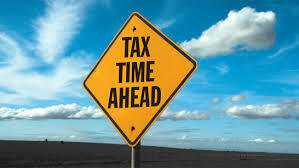 2) If you filed on time but didn’t pay all of your taxes due. A late payment will be assessed on the tax you owe each month. The late payment penalty is .5% of what you owe. The .5% rate increases to 1% based on the number of notices the IRS has sent to you. If you can show reasonable cause for your failure to pay, they may not charge a penalty fine. 3) Installment options are available. If you file on time and request an installment plan for your payments and the IRS accepts it, you may have to pay administrative fees. If you file late and request an installment plan, the fees are higher. 4) Interest. The IRS is like any other entity. If you owe them money and cannot pay on time, then they charge you interest. However, unlike high rate credit cards, payday loans or other such establishments, the IRS charges reasonable interest rates. They want to present a deterrent to not paying your taxes on time. And they want their money. However, at the same time, they don’t want people to go broke because they’re late on their taxes. That being said, the interest is calculated based on how much you owe and calculated each day your balance is not paid in full. It’s a variable interest rate that is set quarterly. 5) If you’re going to owe and you’re unable to pay what you owe, file an extension. That way you’re not penalized and being charged interest and fees. And hopefully by the time your extension runs out, you’ve saved enough money to pay your taxes in full. Taxes are part of life. Planning ahead and preparing for them is the best way to eliminate and avoid any extra out-of-pocket expenses. File on time or file an extension and if you owe money to the IRS, do everything you can to pay it on time. There are a lot of tax benefits for home owners, some of which include deductions on expenses paid during your mortgage closing. 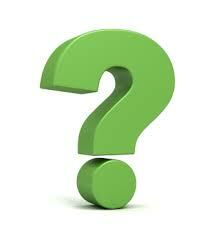 However, there are a lot of categories included in your mortgage closing costs, not all of which are deductible. To determine which closing costs involved with your mortgage are deductible, read on. * Points are deductible on your tax return during the year in which they are paid. For example, if you paid points on your closing costs during the year 2018, you can deduct them on your 2019 return. Points are the costs of obtaining the loan, or a loan origination fee. Most points are equal to 1% of the total mortgage. * Seller’s paid points are deductable by the buyer as an expense if there is an agreement that the seller will pay the points on the mortgage. However, the seller is not able to claim those points on their tax return; rather the net gain on the sale of the home is reduced by the amount of the points paid. * Interest costs are fully deductible through the first 10 years of home ownership. During the closing, you will prepay interest through the month, especially if you close in the middle of the month. Prepaid interest is deductible on your tax return. 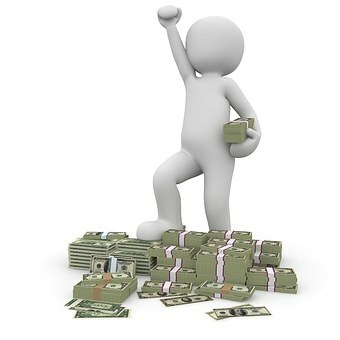 * If you make too much money, there are limitations on the amounts that you can deduct. For matters in regards to this, it is best to contact a tax professional to assist in filing your taxes. A certified public accountant will know the limitations and can apply them to your taxes in the proper manner. * Pro-rated property taxes are also deductible. In most cases you will have to pay pro-rated property taxes on the property at the closing. This expense is completely deductible when you file your return. Closing costs consist of many fees totaled into one lump sum to be paid upon closing of the house. Some of these expenses are tax deductible depending upon your income and the purpose of the fees. Points, interest and property taxes are a few of the items that are considered tax deductible. To get the maximum deductions allowed, it is best to talk to a tax advisor or CPA to determine how much of your closing costs is deductible.